Looking for a festive appetizer this holiday season? Look no further than this Cranberry Jalapeño Salsa served over cream cheese. 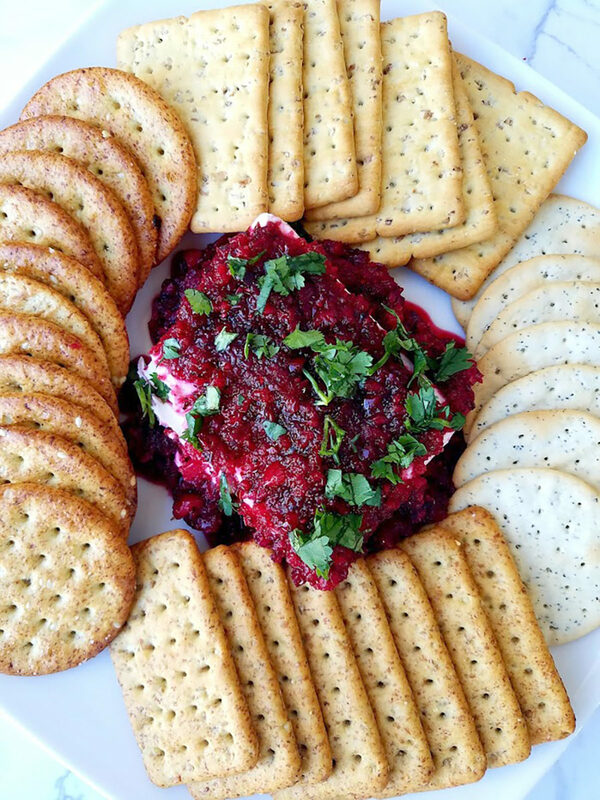 Serve with assorted crackers and guests will literally be digging into this tasty dip. Add cranberries, red onion and jalapeño to food processor. Pulse until finely chopped but not mushy. Tip: Freezing fresh cranberries before making this salsa can help prevent cranberries from becoming mushy while pulsing. Mix in cilantro, sugar and lemon juice. Place brick of cream cheese on plate. Top with cranberry jalapeño salsa. Garnish with additional cilantro if desired. 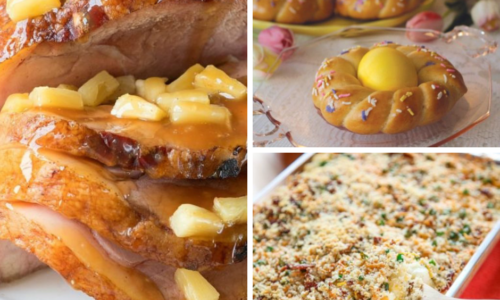 Need some more great recipes? 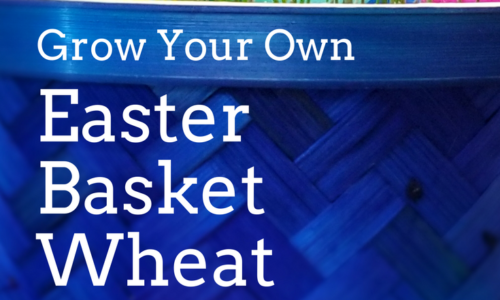 Head over to our friends at the Wheat Foods Council! Or would you like to learn more about where your food comes from? 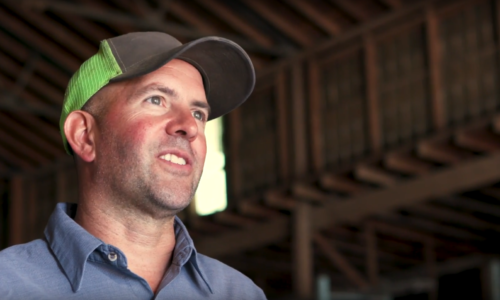 Take a tour of a western Kansas wheat farm with Jason Ochs!